The following post is written by the lovely Michele from Intrepid Guide, a blog dedicated to language and travel. How well would you say you speak the foreign language you’re learning? Are you beginner, intermediate or even advanced and near fluency? Now, I don’t want to bust your bubble, but, you may not be as ‘fluent’ as you think. While we may learn languages with the goal of being fluent (whatever that means to you) the most important question to ask here is, how culture-savvy are you? You may understand a foreign language but that doesn’t guarantee that you understand the nuances and the whole range of meaning that native speakers communicate to you. Communicating in another language requires more than just memorising words and grammar. We have to learn how to communicate beyond words by understanding its culture. Therefore, as we study a language, we must learn it alongside its culture. Cultural awareness understanding that our own culture differs from one individual and group to the next, and specifically from our target language. Being culturally aware helps us recognise and have an appreciation for other’s values, customs and beliefs and meet it without judgement or prejudice. As we encounter new languages and cultures we begin to make comparisons and realise that our own behaviours, values and beliefs are not the general norm found elsewhere in the world. Why is Cultural Awareness Important? Cultural awareness is key when we communicate with people from other cultures. Since we use language to communicate, our knowledge of foreign languages gives us ‘access’ to different societies and cultures. We become mediators between cultures. The most important reason why we should be culturally aware is so we have an increased awareness of people all over the world. This helps us develop a deeper understanding of our own and other people’s cultures, while broadening the mind and increasing tolerance. When we are culturally aware we know what is considered inappropriate or offensive to others. For example, incorrect body language and can lead to misunderstandings. Even something as simple as nodding your head in agreement can be misunderstood in places such as Greece, Bulgaria, and Albania where shaking one's head can actually mean yes. In Western culture we’re taught that it’s polite to look someone straight in the face when talking to someone, however, in Japan this is considered disrespectful. Being culturally aware isn’t just for those learning a foreign languages either. As an Australian who swapped her life in Melbourne for a life in Rome and then again for London (where I’m currently based), I learned that even between English speaking countries our cultures can differ and that these differences can surface in unsuspecting ways. During the past 5 years of living in the UK, I’ve accidentally ruffled a few feathers and learned some important cultural lessons the hard way. 1. Inviting STRANGERS Round To Yours - Kidnapping Or Hospitality? Whilst living in Italy, I travelled the country extensively and took many walks and tours with local guides. Each of Italy’s regions has its own personality, unique history, culinary delights and beauty. You can’t just visit Florence or Rome. You have to visit other cities too to really understand Italy. When I was on one of these local tours in Milan, our guide explained that we shouldn’t be ‘discouraged’ if we encountered a ‘rude’ Milanese. She explained that people from Milan can seem rude or cold at first, but once you make an effort to get to know them they are just as warm and welcoming as we’ve come to know Italians to be. Compare this with an experience I had at the opposite end of Italy in Sicily. One summer I was in Palermo celebrating a girlfriend’s birthday with 4 other girlfriends. we went to dinner at a popular restaurant frequented only by locals. It’s fair to say we stuck out a sore thumb. After about 10 minutes at our table, a middle-aged lady from a neighbouring table who was with her family enquired where we were from. Her eyes lit up when we replied in Italian. After no more than 5 minutes of chatting, Maria invited all 5 of use around to her house the next day for coffee and cake! She gave us her number, address and a time. It was all set. I’d never in my life received such an invitation. After some internal juggling wondering if we were about to experience Liam Neeson’s movie ‘Taken’, we decided to take our chances and go. I’m so glad we did. Maria had very kindly baked two different homemade cakes and even gave us her recipe. This would whole encounter would never happen in Australia, or the UK for that matter. To this day I still can’t believe it did. It just goes to show that just because you do things one way in your country, doesn’t mean it’s the same everywhere else. Even though Australia is a British colony and Australian English is based on British English, we’re not very politically correct with our choice of words. Australians say things that can be considered highly offensive, but we do so without malicious intent. It's like we’ve used these words so much in everyday speech that they've lost all power and negative connotations that it no longer offends anyone, hopefully. This was and still is the hardest lesson for me to learn since living in London and something I still struggle with today. An example of a word that Australians will use without batting an eyelid and which makes up part of many common Australian idioms is the word ‘bloody’. So common is it for us to say ‘bloody’ that it was even part for a A$180 million advertising campaign by Tourism Australia that was banned in the UK for being too offensive. The slogan read “So, where the bloody hell are you?”. A more extreme example, which I know will probably make you cringe, is the use of the highly offensive c-word. It may surprise you to learn that many Australian males will use this as a sort of term of endearment towards other males. They’ll say things like, “Hey c&!, how are ya?”, or “he’s a good c%!.” The c-word is never directed to females or used by them as it’s still considered an offensive word, but it’s not nearly as taboo as it is in the UK or America. Even being punctual can cause misunderstandings. While Germans consider punctuality to be very important, the exact opposite is true in South America where it is considered rude to arrive on time. During my early days in Rome, I distinctly remember the first time I was running late to an appointment with my Italian friends. I messaged my friend Marta and apologised for running 5 minutes late. She responded with Ma Michele, sei troppo anglofono. Non ti preoccupare! (Michele, you’re too English, don’t worry!). When I started learning Arabic leading up to my trip to Egypt, I learned that if you say to someone that you’ll see them tomorrow they might reply with, ‘in sha Allah’ or ‘insha'Allah’ which literally means ‘god willing’. This is often used in response to anything tentative, or when timing is in question. The phrase expresses the belief that nothing happens unless God wills it ("if God doesn't want me to be on time..." ¯_(ツ)_/¯ ). From this one phrase we can see just how much of an influence religion plays in the Arabic language and in the lives of those who speak it. A similar phrase is also found in Spanish and Portuguese, ojalá (Spanish) and oxalá (Portuguese). This was adopted into both languages after they came into contact with the Arabic speaking world as far back as the 8th century. 4. Saying 'Thank You' Can Make Your Host Unhappy - Only In Italy? One year I celebrated Easter with a friend’s family in Naples. They welcomed me and my Dad who was visiting into their home and fussed over us making sure we had everything we needed and making special dishes just for us. They made us feel so special, like we were part of the family. I was so grateful and I wanted to let them to know. Everytime Carmela, my friend’s mum, would hand me a plate, or do anything, I would say “grazie” (thank you). On the third day, Carmela said something I’ve never forgotten. Before that moment, I never thought that thanking someone could offend them but I could understand Carmela’s point. At the same time, it felt foreign to me to not show my appreciation and gratefulness towards her for everything she was doing for us. I felt like I was being rude, but it was what she wanted so I had to fight my instincts so I wouldn’t not offend her again. After organising my birthday party whilst living in Rome, I learned just how superstitious Italians are. You see, I have the unfortunate pleasure of being born two days after Christmas when most people aren’t around to celebrate with me. This usually means I have organise my birthday celebrations a couple of weeks in advance while everyone is still around. The first time my birthday rolled around in Rome, I knew I wanted all my friends to be there and that since most of my friends weren’t from Rome and would be heading home for Christmas, no one would be around to celebrate my birthday on the 27th of December. With that in mind, I booked a venue two weekends prior to my actual birthday and sent out the invites. Within minutes I was inundated with messages “Ma, Michele, non si può festeggiare il compleanno in anticipo, porta sfortuna!” (But, Michele, you can’t celebrate your birthday early, it’s bad luck!). Up until this point I had never heard of such a thing. Growing up in Australia, it was something I was used to doing otherwise I’d never see my friends for my birthday. I felt that if I celebrated after the fact (which by then would be New Year’s Eve) everyone would be all partied out and celebrating the following year just didn’t feel right. After explaining that for an Australia it wasn’t bad luck, they tried to understand but it still didn’t sit well with them. On the night of the party they didn’t wish me happy birthday, they insisted on waiting until the my actual birthday to tell me. The custom of making a toast is universal. That moment when you say Cheers! Prost! Salud! or L’chaim! in celebration of anything from New Year’s Eve to weddings to a night out with friends. This seemingly simple and harmless practice comes with disclaimers in some culture who have their own twists on this tradition. Those in France or Germany believe the same to be true it you don’t make and hold eye contact whilst making a toast. Living in Italy, I learned that Italians take things a step further. Aside from not being able to toast with water, and making sure you maintain eye contact, you also can’t toast with a plastic cup and you have to touch a table or ledge with the bottom of your drink after clinking glasses with everyone. Interestingly, this superstition comes from the Ancient Greeks who, according to Greek mythology, would toast to the dead with glasses of water to symbolise their voyage, via the River Lethe, to the Underworld. Who knew making a toast could be so complicated? When I moved to Italy, I left behind a pretty intense job where I worked crazy hours, sometimes working til 1 or 2 am. In places like Australia, the UK and America, you’re rewarded for working overtime which usually comes in the form of a pay rise or promotion, where funnily enough you’re given even more work to do! Living in Rome made me realise how flawed this whole concept was of working hard and sacrificing time with friends and family for the sake of climbing the corporate ladder. I quickly learned that Romans value time with their family and friends so much that they don’t have this poisonous desire to work overtime just to get ahead. Quite often, I would go out with friends til 1, 2 sometimes 3 am on a “school night”. We weren’t getting drunk, were were just socialising and just hanging out. I never did this in Australia, but in Rome I was living La Dolce Vita or the Sweet Life. I replaced my work addiction with friendships and I began to value my relationships over work. I enjoyed life to the fullest with the people who matter and sometimes that meant staying out until the wee hours of the night. La Dolce Vita isn’t just for Italians though, the Danes have their own version of this too. Unless you’ve been living under a rock, the Danish word hygge (pronounced hue-guh) has gained worldwide popularity. Hygge describes the feeling you get, either alone or with friends, where you feel cosy and have warm feelings of togetherness, contentedness and enjoying the simple things in life. The Danes also don’t believe in overtime. 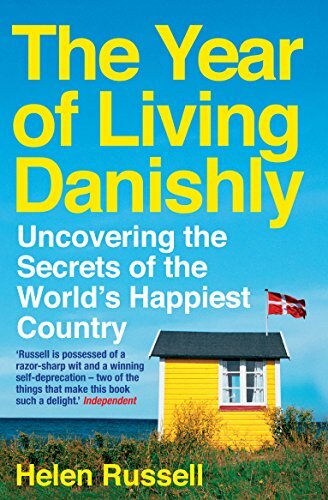 Helen Russells explains in her book, a The Year of Living Danishly, that working overtime is not only frowned upon by your peers but you’re considered as being inefficient! Being knowledgeable in foreign languages shows native speakers that you respect their ideas and their way of living. This is why I encourage travellers to learn some of the local language before their travels and I’ve created a collection of free travel phrase guides to help my readers do that. Knowing even a just a little bit of the language can help offset cultural shock and open you up to new experiences in a destination. Cultural awareness extends into your everyday life, not just while travelling. Think about how valuable this skill can be (and it is a skill) to the development and advancement of your career. Being able to communicate with global communities is invaluable to a business when they scout new talent. Being able to communicate effectively has a lot to do with context and culture. Therefore, understanding cultural implications is just as important as learning correct grammar, vocabulary and pronunciation. Neglecting this part of the learning process can lead to unnecessary misunderstandings or miscommunications. When Have You Learnt More Than Just Language? What moments of cultural awareness have you encountered? Ever you offended someone or embarrassed yourself like me? I'd love to hear from you - share your story in the comments below. With her blog, Michele shares her passion for bringing language and travel closer together with detailed destinations guides, and free travel phrase guides, and more! You can follow her on social media as she shares fascinating and little-known linguistic and cultural facts.